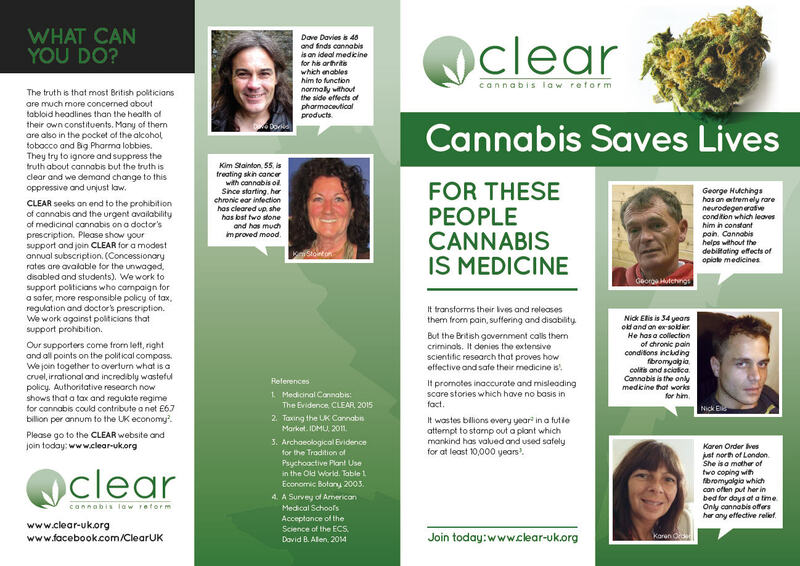 CLEAR has published a revised and updated version of its leaflet on medicinal cannabis. This will shortly be available for purchase and for inclusion in membership packs. 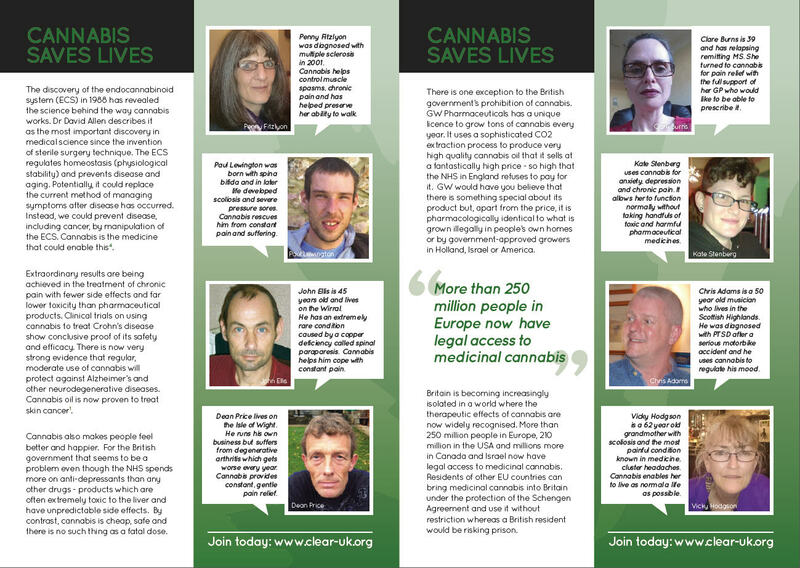 As with the previous version we shall also be carrying our carefully targeted and timed leafleting campaigns. Each year we choose a relevant day to saturate Parliament Square and Whitehall with the CLEAR message. If you have an event or an opportunity to distribute leaflets, please get in touch. We are always ready to consider a special print run.